So what has LaCartera been up to lately? 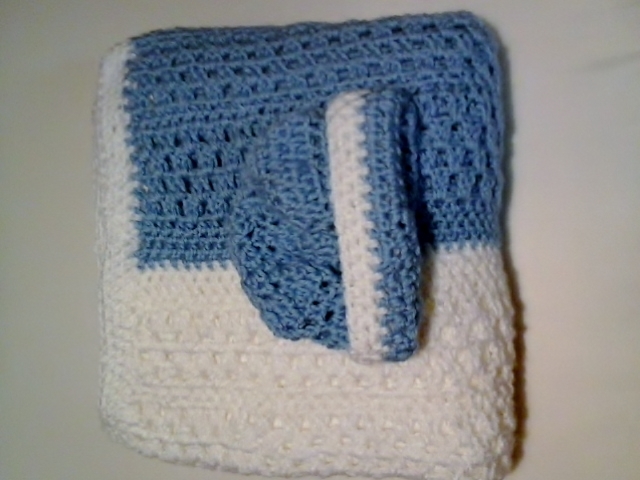 Well, I’ve ventured into making crochet baby blankets, hats and booties since I’ve found out that I’m expecting a grandson. I really wanted to create a LaCartera Baby Style keepsake for my first grandchild, and hopefully more to come. Of course I have a list of many cute ideas for girls! But we’re expecting a grandson and I need to use my imagination for cool boy items. 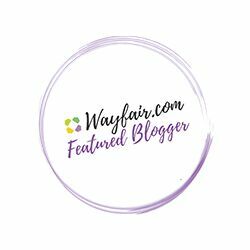 I’ve been searching for crochet patterns and designs to use, and I must admit, there are some very talented people out there with some beautiful designs. I think I’m used to seeing immediate results when I sew a project, and it takes a bit longer to crochet a large item such as a blanket. 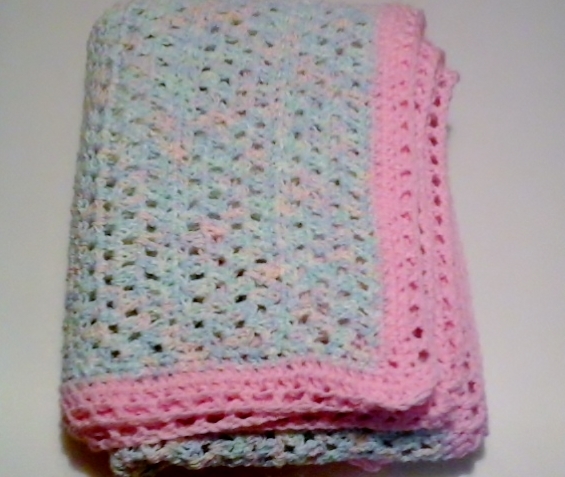 I’ve promised a younger cousin two blanket sets, and my son “from another mother” a baby blanket set too. Unfortunately, this will probably be the last call for any crochet items. 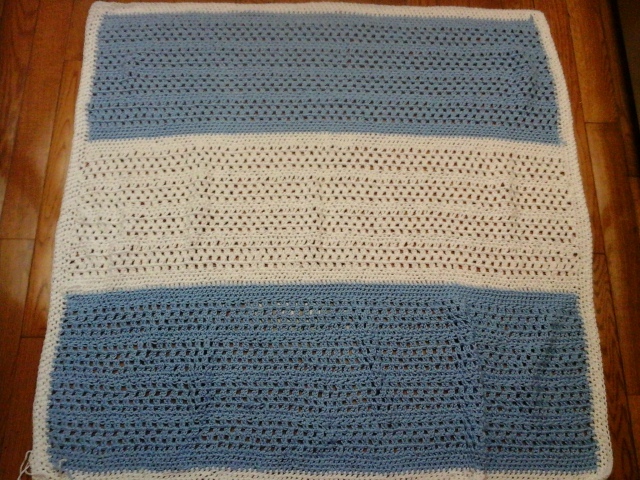 Here’s my practice girls baby blanket. The matching baby booties and adorable appliques for the baby blankets are next on my list. So I’ll keep you updated on the outcome of that. 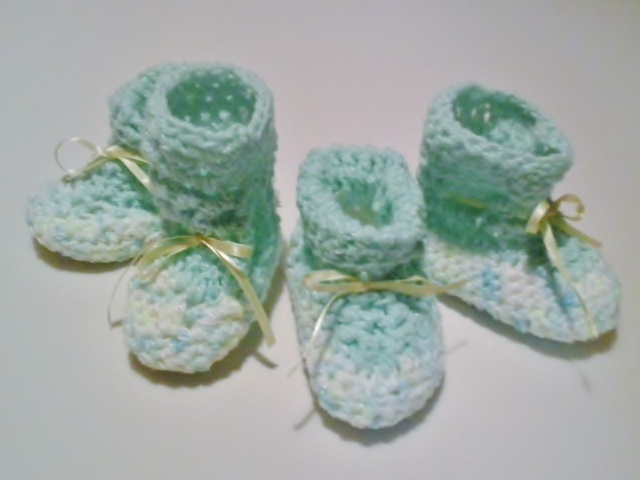 Of course I’m going to make matching blankets for these booties too. I’m so glad that the babies aren’t due until summer…. Previous Post The Clutch Wallet – Is it a Hit or Miss? Fab or Drab? Next Post Pinterest Review: Sharpening your scissors with aluminum foil.